LAS VEGAS — Thoroughbred Daily News has an embedded reporter at the DRF/NTRA National Handicapping Championship at Treasure Island. And who better than Steve Decaspers to chronicle the highs and lows of betting on horse races? In a terrific column for TDN posted Wednesday afternoon, Decaspers writes of the more than 600 entries: “Several hundred of them are ‘dead money,’ with limited contest experience, just trying to enjoy the weekend. Several dozen of them are serious contenders, best-of-breed tournament horseplayers who have the knowledge, abilities and temperament to take down the $800,000 top prize. One of them is looking to cap a historic year by winning a $2 million bonus. And one of them is looking to recover from a last-place finish in the 2015 NHC, where a combination of poor handicapping and a large audience led to total humiliation. Decaspers, from the Chicago suburb of Forest Park, looks to rebound, and he got off to a great start by finishing eighth in Wednesday’s Treasure Island Last Chance Tournament to earn a second seat in the NHC, which offers a record $2.77 million purse. The 40-year-old marketing strategist at US Cellular had already qualified by finishing in the top 150 of the NHC Tour, coming in 138th. But when you’re rebounding from basically being eased, doubling your chances with a second seat is a great thing. 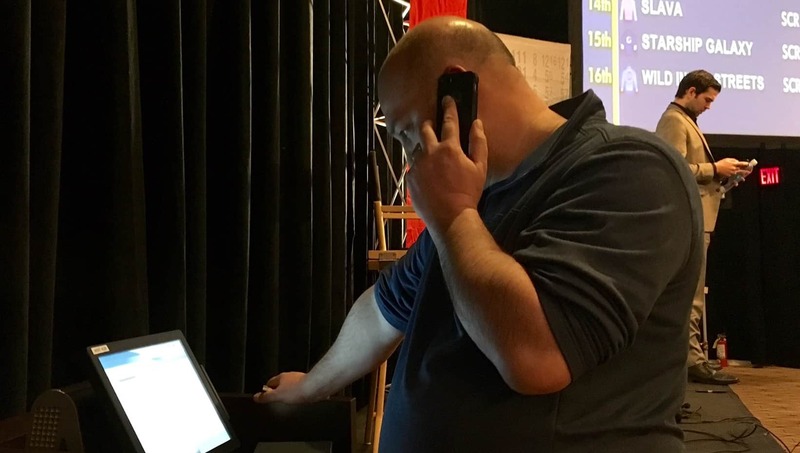 “The thing I’m changing up from last year that I’m doing this year is play in this competition,” said Decaspers, at the competition with his long-time handicapping buddy Brent Schraff. “Winning a seat is good. We just wanted to get warmed up, though. Last year I put up the worst handicapping performance — of all time. I went 0-for-30 and not a single horse hit the board. It was humiliating. You almost have to try (to do that). I would have been better off bringing my 4-year-old niece and betting her picks. Coming in ninth in the Last Chance tournament — or, the very last person to get in to the NHC — was Patrick Cronin of Flagstaff, Ariz. Had he not qualified for the NHC, he planned to stick around until Sunday for the First Chance contest qualifier for the 2017 tournament at Treasure Island.